Discover the child development milestones your kids will reach in terms of their motor development and what it means when it comes to their physical activity and play. I'm a big proponent of physical activity for kids because I know the positive impact it has not only on their physical development, but on perceptual-motor, social, emotional, and child brain development. There has been some fascinating research done in the area of play and early child development. Below are the stages you can expect your child to pass through on the way to maturity. I think you'll also find this to be a helpful resource for determining when your your child is old enough to participate successfully in organized, competitive kids sports activities. I will say that these are general guidelines. Every child will progress at their own unique pace. There are many children that, for a multitude of reasons, are unable to develop normally. Those individuals will find themselves stuck in one of the stages longer than other children, and some will never progress. In order to participate in kids sports, they will most likely need adapted sports activities. All of the kids activities listed on this site include ideas to modify the rules and/or equipment so that all kids can enjoy them. For healthy, normal functioning children, the following information outlines what you can expect. Infancy: This stage actually begins about the time the fetus is 3 months old and continues until the baby is about 1-year old. This phase of growth is characterized by reflexes and spontaneous movement. Reflexes are involuntary responses to stimuli like sound, touch, light, and body position. Up until the age of 6 months, a newborn is basically a bundle of reflexes. It's been documented that there are about 27 major reflexes seen in infants, but most of them disappear after 6 months while some will be seen up to about 1 year. Some of our early reflexes like coughing, blinking, and sneezing we keep with us for life. 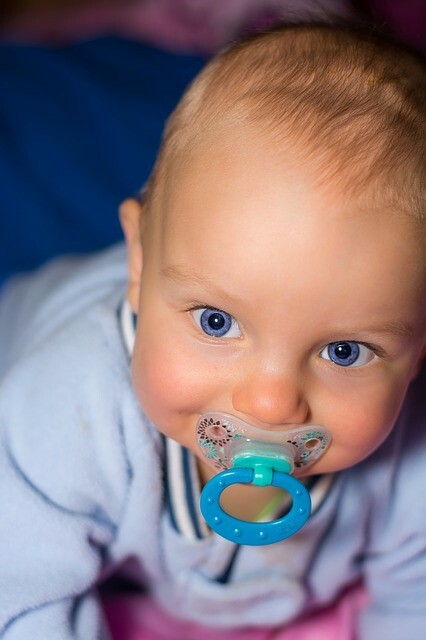 An infant's reflexive movements are due to his immature nervous system. They are important for the baby's survival and for stimulating the central nervous system (CNS) and muscles for their growth and development. As the CNS matures, reflexes and spontaneous movements phase out and voluntary control increases. Primitive reflexes: First ones to show up. Directly associated with the baby's instinct for survival and self-protection. Postural reflexes: Observed next as the baby responds to the forces of gravity and changes in equilibrium. The baby reacts to changes in body position in an attempt to maintain balance, keep upright, and avoid falling. Locomotor reflexes: Resemble actual movement patterns that will later help the child walk, run, climb, and swim. Reflexive movements are the baby's response to some sort of stimuli. In contrast, spontaneous movements are uncontrollable, rhythmic types of motion that don't seem to be in response to anything or have any purpose. Some examples which I'm sure you've observed are repeated kicking legs, waving arms, rocking on hands and knees, and flexing fingers. It's believed that these involuntary movements set the stage for future motor growth. Infancy: As the baby's nervous system matures, voluntary movements start to be seen. Up until about 6-10 months of age, babies exhibit a combination of reflexes and spontaneous movements along with some new voluntary movements. As more voluntary movements emerge, the baby is able to have more postural control, locomotor movement, and manual control. There seems to be a predictable sequence in the order that rudimentary (immature, beginning) movements appear. They start with the head and neck, then move to the shoulders and upper body, and finally to the lower body. The movements also progress from the center of the body outward; for example, starting with the shoulders, then elbows, and finally the fingers. Gross motor skills, involving movements of large muscle groups, show up before more fine motor skills develop. 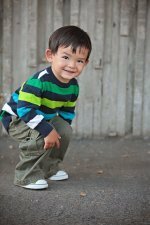 The development of these rudimentary behaviors sets the groundwork for more advanced fundamental movement in later years. In terms of postural control, babies learn to hold up their head and upper trunk first, then they learn to roll, then sit, and then stand. They also show a progression in locomotion from crawling, to creeping, to walking with support, and then walking alone. Early Childhood: This period marks a major milestone in early child development. During this stage, more than 30 characteristic fundamental motor movements start to emerge. Locomotor skills are movements that transport a person from one place to another. They include skills like running, jumping, climbing, skipping, hopping, and galloping. Non-locomotor skills are stability and balancing skills like twisting, turning, stretching, and bending. Manipulative skills are skills used to control objects with the hands and feet like kicking, catching, rolling, throwing, bouncing, and striking. Perceptual-motor awareness also occurs as kids develop a sense of body awareness and the ability to balance. All of these skills build a foundation for efficient and more complex movements that are needed in later child development stages. 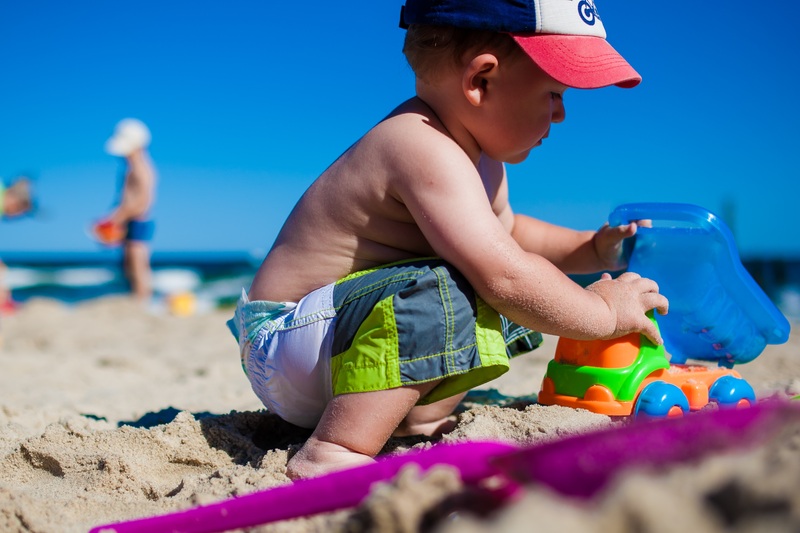 Later Childhood: During this phase, changes in physical growth, body structure, and physiological development allow the child to show significant improvements in the motor skills they have been using. 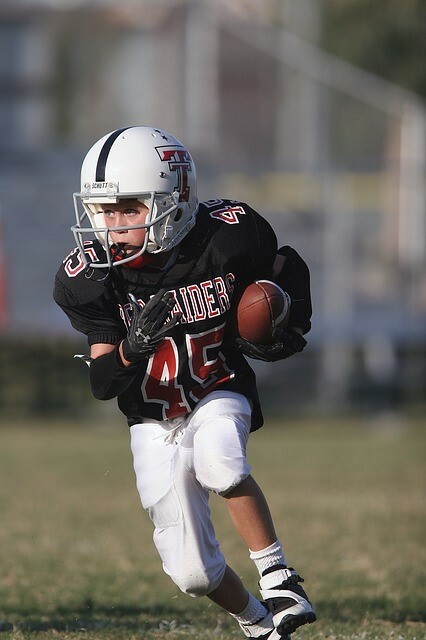 As kids increase in body size, strength, cardiorespiratory capacity, and perceptual-motor ability they are able to show vast improvements in their motor abilities. As their fundamental movement skills become more refined and fluid, they can adapt them to sport and recreational activities. Children tend to become more interested in kids sports participation during this time, which gives them the opportunity to practice their existing skills and learn new ones. Adolescence: While growth takes place during all child development stages, the most significant motor behavior change is seen at the time of puberty. 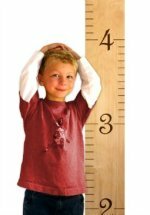 There is an incredible growth spurt and increase in the level of hormones that occurs, and these changes generally mark the first stage of adolescence. During this period, the major changes in muscle and skeletal growth allow kids' motor skills to become much more advanced. Differences in motor performance between the genders becomes more apparent during this stage. Adulthood: During this stage, especially between the ages of 25-30, individuals are at the peak of their physiological function and motor performance. This is especially true in the areas of strength, cardiorespiratory function, and processing speed. Older Adulthood: Though everyone is unique and there's a lot of variation in the way people age, most people show a 1% per year decline in their physiological and neurological functioning. You begin to see decreases in cardiovascular capacity, muscle strength and endurance, flexibility, and increases in body fat throughout the duration of life. Worried that your child is delayed in reaching developmental milestones? Click here.